And that’s not all! 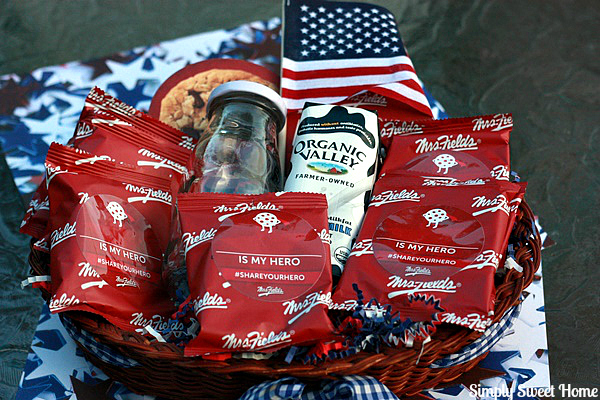 As a proud supporter of the USO, Mrs. Fields® is also donating 25,000 cookies to our heroes in uniform. I recently had the chance to give one of my heroes a basket of Mrs. Fields cookies. 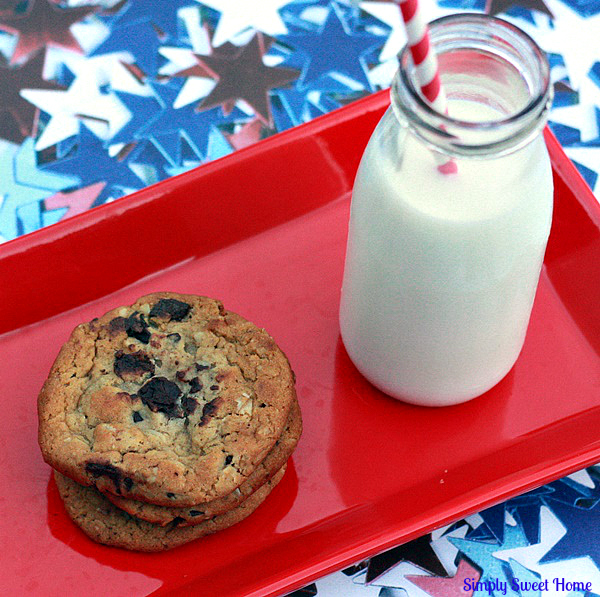 I just love Mrs. Fields cookies. They are so chewy and delicious, and they now come in two new flavors: Dark Chocolate Oatmeal and Butter Pecan Praline. 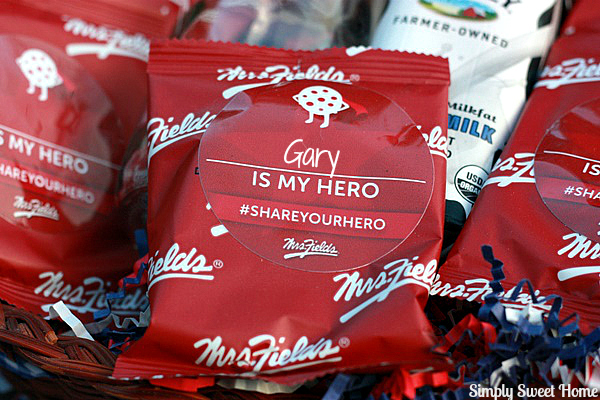 I gave the Mrs. Fields Cookie Basket to my wonderful husband, Gary. On the most basic level, I could say that Gary is a loving husband and father. He’s a great Mr. Fix-It, and he’s always there for me when I need him, but our relationship is so much deeper than that, and that is what truly makes him a hero to me. I first met Gary in 2003, and I felt an instant connection to him. Some would have called it crush, but I knew it was deeper than that. At the time, I was a 20 year-old college student. I was shy and quiet and had a lot of insecurities. Meanwhile, he was an outgoing, crazy guy who never met a stranger. Back then I had to get my courage up just to talk to him, and it took me a long time to let my guard down, but over time he helped me to “break down my walls” and open up. When I finally started opening up to him, the most difficult thing for me to talk about was my anxieties, but he was amazingly supportive about it. He even let me know that he, himself, had experienced similar problems. He’s been able to relate to me in ways no one else can, and he’s always able to bring me back to my senses any time I’m anxious or my nerves have me spinning out of control. For someone who has bad anxiety problems, this is a rare thing to find. Furthermore, when I’m with Gary, I’m able to be myself, which has not always been an easy task for me. And in being myself, I’m able to be at my best and reach my full potential. 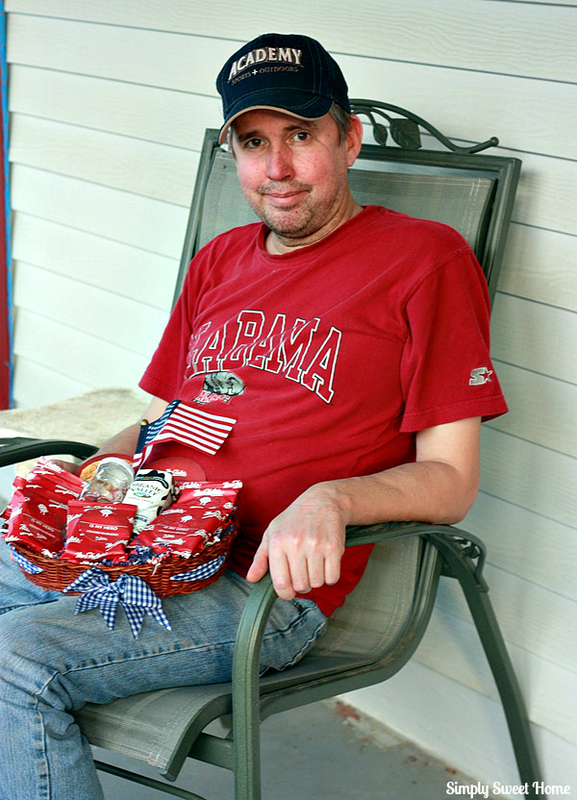 Gary also encourages me and supports me and my blog and Etsy shop. He’s always there to share in my excitement when I’m working on a new blog project, and he’s there to be participate and assist me as needed. And when I have a lot of work to do, he is more than happy to help me any way that he can, whether I need him to cook dinner, help with cleaning, or assist with Etsy orders. Most importantly, Gary lets me know he’s proud of me and he tells me he believes in me. He always makes me feel needed, wanted, and loved. He’s definitely made my life happier and given it new meaning, and I’m proud to call him my husband, best friend, and hero! Do you have a hero? 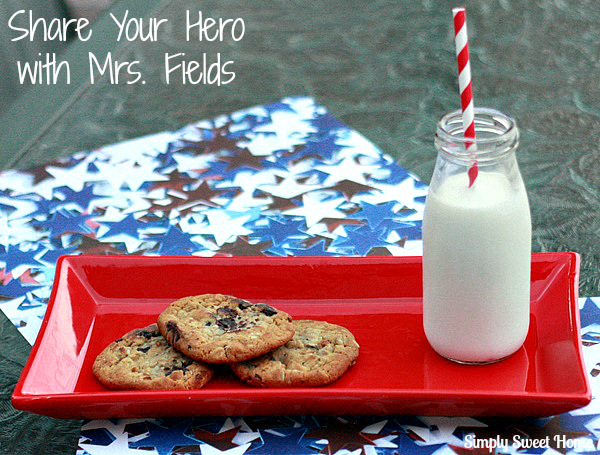 Share it at MrsFieldsMoments.com and enter the #ShareYourHero contest.